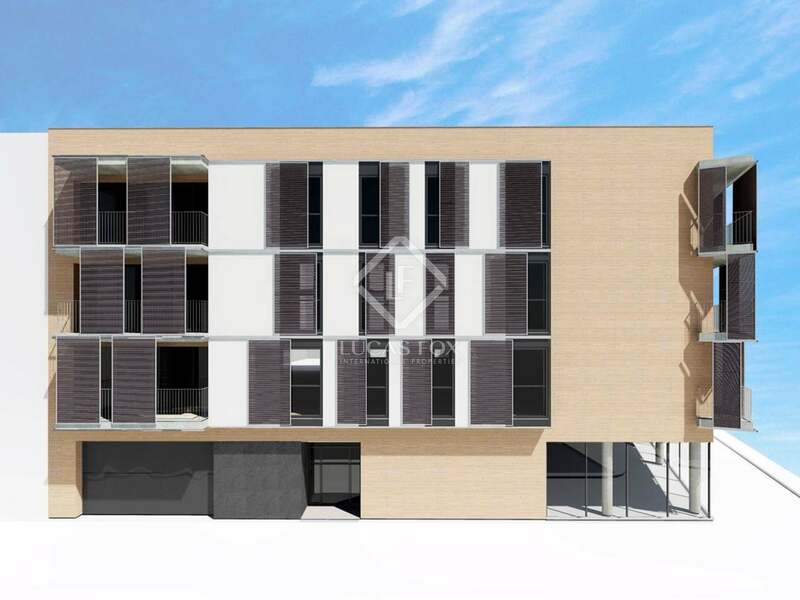 3-bedroom apartment for sale off-plan; part of a New Development in the centre of Vilanova i la Geltrú. 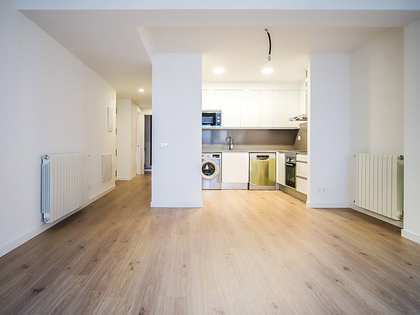 This modern 3-bedoom apartment forms part of a New Development located in the coastal town of Vilanova I la Geltrú, 40km from Barcelona and 45km from Tarragona. Vilanova i la Geltrú boasts fantastic beaches and a lovely seafront promenade and there is also an excellent cultural offering with museums showcasing everything from Catalan art to technology. 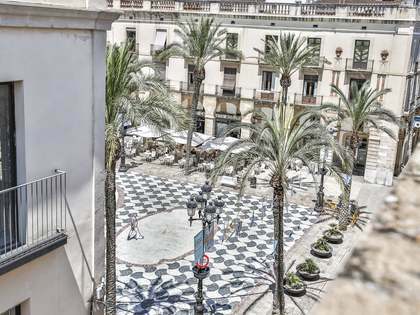 Vilanova i la Geltrú has numerous festivals and cultural events throughout the year The apartment is being sold off-plan; the estimated completion date for the development is the first quarter of 2020. 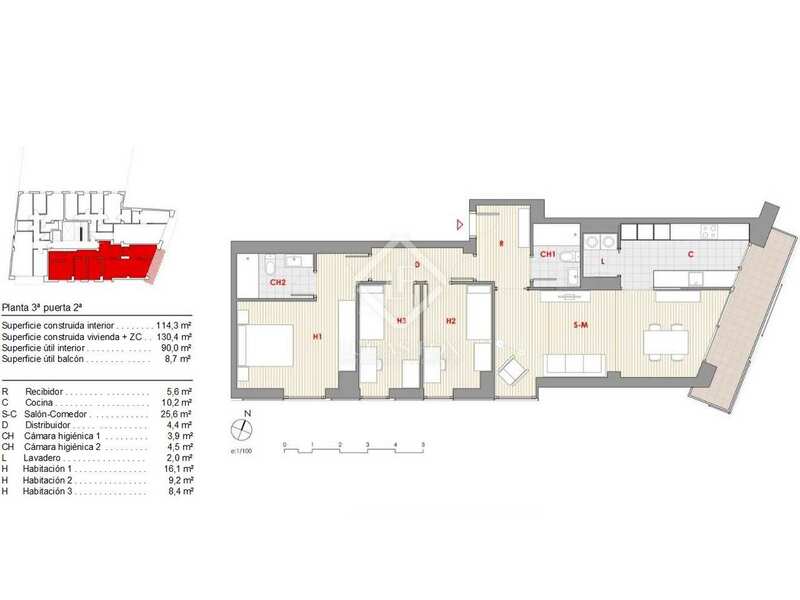 This third floor apartment has a usable surface area of 90m² plus a 9m² balcony. 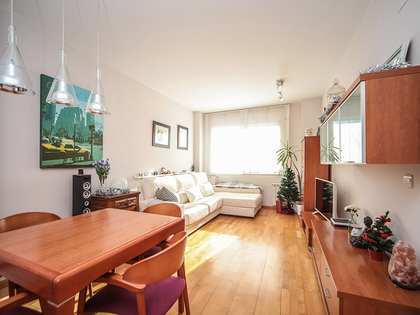 The apartment has 3 bedrooms and 2 bathrooms and there is the option to buy a parking space. 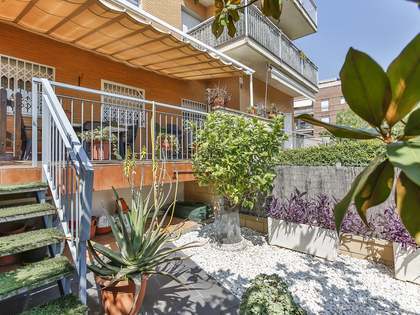 A wonderful modern home in the very centre of Vilanova i la Geltrú surrounded by supermarkets, schools, public transport and all other necessary services. 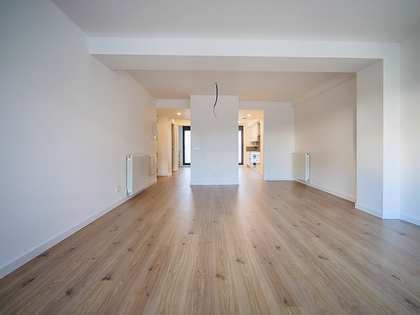 Apartment located in the heart of Vilanova I la Geltrú, close to the lovely beaches and seafront promenade. This coastal town offers all services as well as a wide cultural and leisure including the chance to try out water sports. There are many museums, shops and restaurants as well as services such as nurseries, schools and supermarkets. Excellent public transport connections link the area to Barcelona, which is just 40km away and Tarragona 45km. Sitges can be reached by car in just 5 minutes.